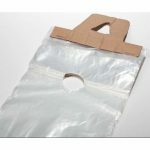 View cart “Door Hanger DVD Bags (100)” has been added to your cart. This remarkable visual is a wonderful springboard for gospel conversations; it also makes for a delightful Christmas stocking stuffer for loved ones. 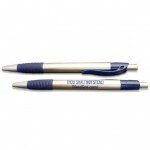 Use the pudgy stylus end to write on electronic screens and the ink tip to write on paper. At work, you could put these in the customer pen holder, give one as a gift with purchase, or simply hand them out. Be the first to review “Light of the World Pen” Click here to cancel reply.